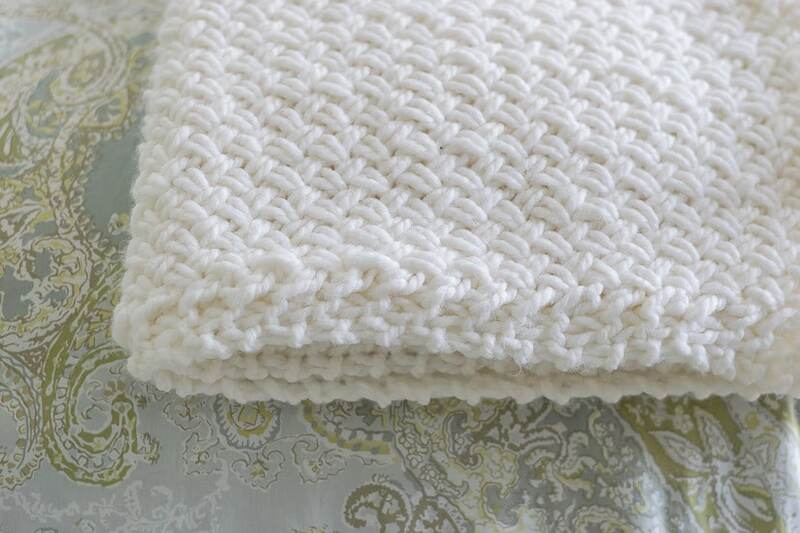 The pattern instructs to cast on 149 stitches for a blanket the width of 59″. We round up because we need that multiple of 2 stitches. 2.5 X 25″ = 63.5/64 stitches PLUS 1. 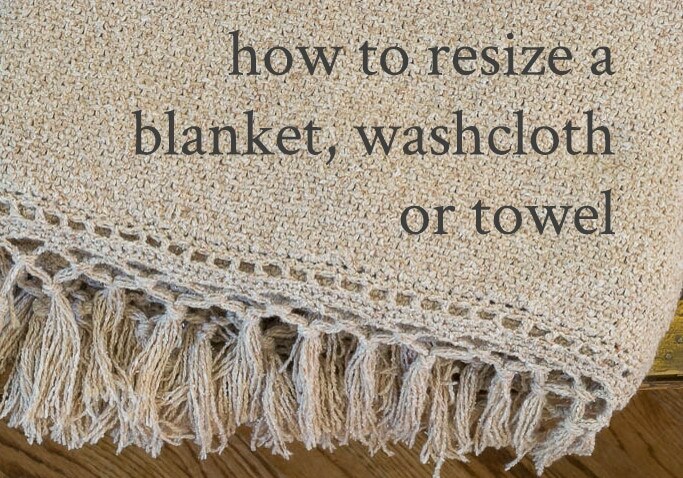 The pattern instructs to cast on 181 stitches for a blanket the width of 36″ (not including border, just the blanket). The multiple means we need to be a little flexible with the calculations…we just need to make sure we that the number of stitches we cast on sticks with the multiple. I hope these illustrations of the calculations will help you resize a knit blanket, washcloth or towel. If you do have further questions, absolutely let me know. I will gladly add to this post as needed.